A casual downhill calls the end to the G8 cycling odyssey, like a spotlight fading slowly on a stage the four grannies and the four gays bring their bikes to a halt at the bike shop. Warm hugs of celebration and congratulations spontaneously erupt at the thought of making it back unscathed. Well unscathed if we don’t count Sue’s legs which look a little beaten up but none the less, the most unlikely of cycling groups managed to make it through without a major mishap. 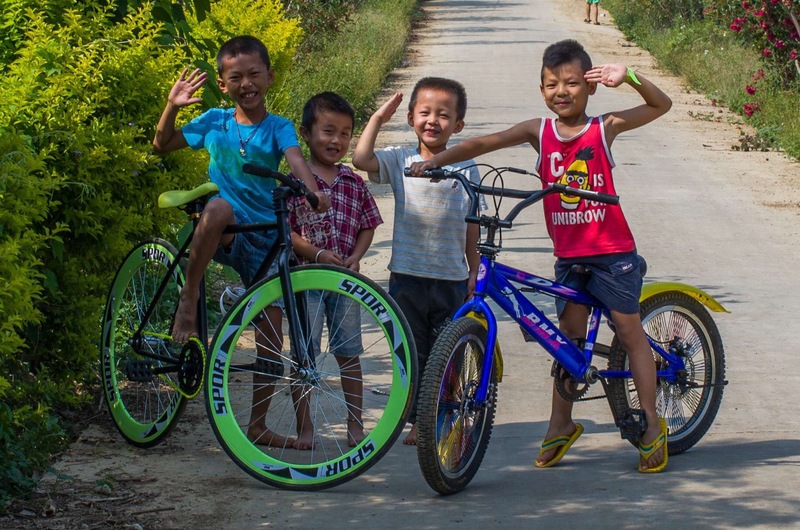 It takes a moment to sink in, tomorrow there will be no cycling and with that for most of us there will be no China as the G8 largely vaporises in the absence of the reason to unite, cycling. A stroll through a night market signals the final farewell, Andy picks up a copy of the famous ‘little red book’, the chronicle of Mao quotes rocketed to cult status akin to Hitlers Mein Kampf. With books banned the little red book was the only book in circulation rocketing it to mythical proportions and making Mao the only millionaire in Mao’s China; communist? I wondered upon arriving if it was still Mao’s China: well he’s dead so technically not of course but his influence is as tangible as many living rulers; in this respect his iron grip persists. Given the limitations on freedom of speech and the great firewall we were stuck behind, China offers a rare quirk to history, many people outside of China have a more comprehensive view of Chinese history than those inside the country. Where Hitler and Stalin met their demise Mao died on top showing once again that history is indeed written by the victors. So what do we make of Mao’s China? Initially it’s a complex web with the Russians pushing Mao to power, Mao was just one part to this story until his megalomania refused to be overshadowed. Dictators rise from the ashes and Mao was in many ways allowed to claim power and be tolerated due to the disaster that was China before the communists, in this respect Mao unified China up until his death in the 70’s which remains the common apologist line. While this may be true I personally reject the correlative argument, is a violently abusive parent who raises a resilient child a good parent? No is the simple answer and no amount of twisting words backdates clemency to atrocity. The positives of Mao’s rule, and there are positives, remain clearly happenstance not design. Lingering to this day there are numerous reminders of Maoist times and most notably in the many customs and behaviours that many outside China find quite confronting. China is fast becoming a wealthy country (China is an OECD middle income country even with its huge population) and along with that wealth disappears the easy excuses for environmental destruction and poor human rights. 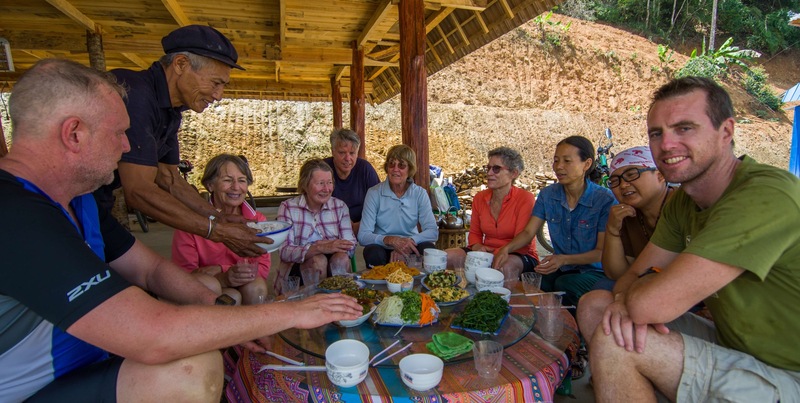 the great Chinese urbanisation sees a class separation of sorts, wealthy Chinese flock to the cities while many of the poorer ethnic minorities retain their simpler farming lives to some degree. The latter is what we saw. Embedded into these cultures is what we as outsiders could easily see as barbaric disgusting behaviours, I for one have never been quite so in touch with spit, faeces, poor hygiene and foul smells as I was in China, a relatively wealthy country compared to many. Culture is one thing but poor hygiene and environmental pollution is simple, it’s unhealthy and this to some degree makes it more of a law of nature rather than a culture. The poorest and most disadvantaged of people around the world understand the need for clean water so why doesn’t so much of China? The answer again may lie in it’s recent history and that man again, Mao. Imagine a world where children are taken out of school to rip up grass by hand because it’s considered bourgeois. Imagine a world where love is considered a grave sin as the only type of appropriate love is for the party and Mao. Imagine a world where anything with heritage was destroyed, books were burned and education shunned so comprehensively that if you were literate you were branded a class enemy. Welcome to Mao’s China where there was no fear of the atomic bomb as China would just make more babies according to Mao, entire generations living in a world designed to strip them of humanity. It’s not ancient history, these people are alive today and they invited us into their homes; can I judge some gross and weird behaviours? The answer is obvious. In the midst of this emotional and intellectual conflict existed our world for a short time, the G8 and our cycling adventure. Like any debate there are two active sides and still two sides refuse to come to an agreement for me. Universally the people we met were generous, kind and good spirited on top of being a bit gross leaving China as all the things you think yet with no room for judgement when taken in context to recent history. So did we like China? We loved it; not because it was pretty, comfortable or nice but precisely because it wasn’t. We never travel to wrap ourselves in a little Sydney and as true experiences go it was possibly the best we have had on this trip as well as being shared with great friends. So strange it is to love a place that was in many ways so unlovable yet that is what we carry away, a most miraculous and once-in-a-lifetime artwork painted onto the shabbiest of canvases. China you’re a bit gross but we loved visiting, we wouldn’t have it any other way; so thank you, xie xie.